Home Columns Ossie Jervier is a man on a mission. Ossie Jervier is a man on a mission. Ossie Jervier from Willesden, London is a man on a mission. 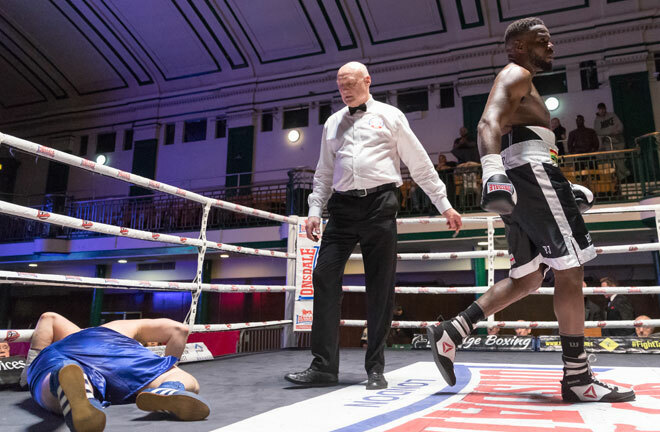 A change of trainer and a link up with “The Professor” Xavier Miller at IQ Gym in Neasden has revitalised Ossie and in his first fight under Miller (March 2018) 2018 he dispatched Kristof Demendi in three rounds. Demendi had lost only 4 of 17 contests prior to this bout. For tickets to Ossie’s next fight and to support the Jervier march to success, give Ossie a call on 07863 239290.